When Alex was a boy growing up in Tennessee, his grandmother used to tell him stories about their family, stories that went way back to a man she called ''the African'' who was taken aboard a slave ship bound for Colonial America. As an adult, Alex spent twelve years searching for documentation that might authenticate what his grandmother had told him. In an astonishing feat of genealogical detective work, he discovered the name of ''the African'' -- Kunta Kinte -- as well as the exact location of the village in West Africa from where he was abducted in 1767. 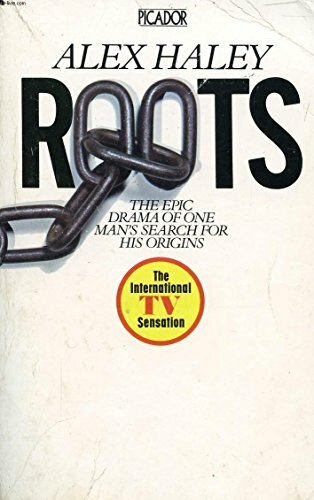 Roots is based on the facts of his ancestry, and the six generations of people -- slaves and freemen, farmers and lawyers, an architect, a teacher -- and one acclaimed author -- who descended from Kunta Kinte. It begins with a birth in 1750, in an African village; it ends seven generations later at the Arkansas funeral of a black professor whose children are a teacher, a Navy architect, an assistant director of the U.S. Information Agency, and an author. The author is Alex Haley. This magnificent book is his. ALEX HALEY (1921-1992) is the Pulitzer Prize-winning author of Roots, one of the most celebrated novels of the 1970s. He spent twenty years in the Coast Guard until beginning his writing career working for a range of magazines before becoming a ghostwriter for his first major book, The Autobiography of Malcolm X. Haley spent years tracing his own family history and decided it went back to a single African man, Kunta Kinte, who was captured in Gambia and taken to the United States as a slave. That research led to Haley's epic book Roots, published in 1976 to wide acclaim. Haley is credited with inspiring interest in genealogy among African Americans.